Dr. Ara Chrissian is a pulmonologist that practices in Loma Linda, CA. 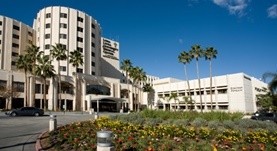 He is affiliated with Loma Linda University Medical Center, and he got his medical diploma from the University of California. The doctor is certified in Critical Care Medicine, Internal Medicine, and Pulmonary Disease and has practiced for 14 years.